The law firm of Somers, Robb and Robb was founded by the late B. H. (Brice Henderson) Turner in the spring of 1885 in Newton, Kansas. He was the first local attorney to practice with college education requirements. He trained many of the area’s young lawyers in the early years and became the Dean of the Harvey County Bar Association, serving as its President from 1917 until his death in 1940. Turner was joined in the practice by J. G. Somers in the spring of 1916 and the firm became Turner and Somers. 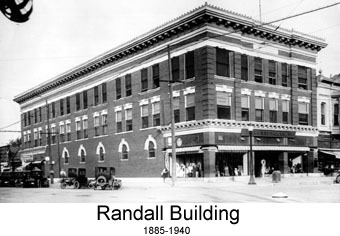 The firm was located on the second floor of the Randall Building at the corner of 5th and Main until 1928 when Somers became Judge of the Ninth Judicial District serving Harvey, McPherson and Reno Counties. Turner continued the practice until his death in 1940. 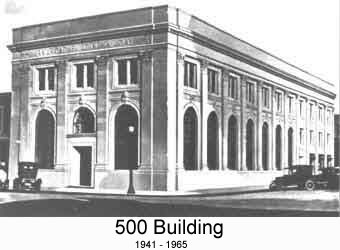 Somers returned to private practice in 1941 and located the firm on the second floor of the 500 Building, again at the corner of 5th and Main. Somers served as Assistant Attorney General for the State of Kansas in 1942, as President of the Kansas Bar Association in 1945-46 and as Kansas Supreme Court Commissioner in 1949. Somers was joined by George Robb in 1950. The firm became Somers and Robb. For a brief time they were joined by Arthur N. Turner. Forrest Wilson joined the firm in 1954 and the firm became Somers, Robb & Wilson until Wilson left in 1955. The firm again became Somers & Robb. Upon Somers’ death in 1958, George Robb continued the practice by himself. The firm moved to its current location on the ground floor of the historic Masonic Building at 110 East Broadway in 1965. Robb served on the Board of Education for U.S.D. 373 and as Chairman of the Board of Railroad Savings and Loan Association. He also served on the Federal District Court Attorney Conduct and Discipline Committee and the Kansas Bar Association Ethics Committee for many years. Additionally, he served as a member of the Judicial Nominating Commission, a group who selects Judge candidates and forwards them to the Governor for appointment. John Robb joined the firm in the spring of 1978 and the firm became Somers, Robb and Robb. Joe Robb joined the firm in the spring of 1985. George Robb continued in the practice until his death in 1993. The firm currently consists of John Robb and Joe Robb.